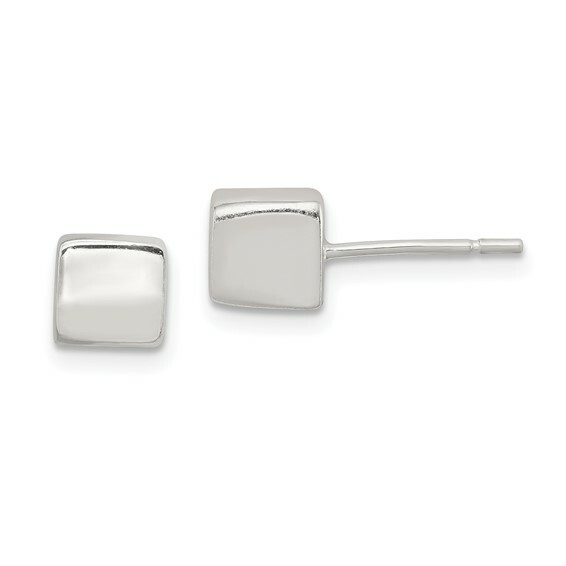 Polished 6mm square earrings are made of polished sterling silver. Hollow. Weight: 2 grams. Import.